Santa Clara County is the home to Silicon Valley, the world’s capital of high-tech industry. Some of the companies that have headquarters in the cities in the area include Google, Amazon, Facebook, PayPal, Apple Inc., Intel, and many others. Obviously, with so many big-name companies in the area, Santa Clara County is one of the richest counties in the US. This is why it’s not a surprise that people who are looking for work in the IT industry often decide to relocate to a place in this county. If you’re one of them, you should know that moving your goods to the new home or office is not difficult. In fact, your move can be done swiftly, safely, and at a very affordable rate. The secret lies in hiring reliable Santa Clara County movers like us! Residential and commercial moving services. Whether you’re starting a new company or starting a new life in Santa Clara County, our movers will have no problems relocating all your stuff. And it really doesn’t matter where your cargo is at the moment because we offer both local and long-distance service. Local and long-distance moving service. If you’re relocating from a place outside Santa Clara County, the best thing you can do is hire us for the moving job. Why? Because we’ll take care of the move without emptying out your bank account. And if you’re already in Santa Clara County and you need to transport some items from one place to another, our local movers will do it ASAP! Experienced staff. Our movers are trained professionals, who have been in the business for a long time. That makes them experts in moving. It doesn’t matter what kind of things you need us to relocate, we will be able to do it. And the best thing is that we’re very flexible. Need us to move your stuff during night or during weekends? No problem! No hidden fees. We value your trust, which is why we would never do something that could disappoint you. This is why things like extra fees don’t exist in our vocabulary. Moving to a place in Santa Clara would definitely be a smart move, but it’s true that some places are just better than others. To help you out with making the right choice, we’ve decided to create a little list of best cities to live in this county. So, here it is! San Jose – The county seat, and its largest city, is full of business opportunities, which makes it perfect for those looking for a well-paid job. Palo Alto – The home to companies like Apple, Facebook, and PayPal, Palo Alto is a true heaven for anyone involved in the IT industry. Mountain View – Tucked in between the San Francisco Bay and Palo Alto, Mountain View is the home to Google and many other high-tech corporations. Milpitas – By the percentage of people employed in the IT sector, Milpitas is the number one city in the USA. Sunnyvale – The second-most populous city in the county is famous for its large number of public parks, which is one of the reasons why it’s among the top moving picks for those who want to raise a family in this part of California. 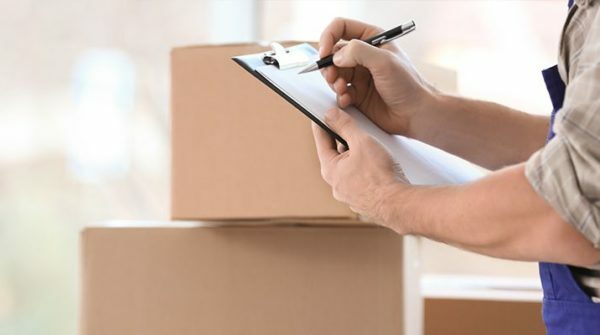 If you’re looking to move your belongings to your new home in Santa Clara County, but you don’t want to get ripped off, hiring our team of movers would be your best choice. Don’t trust that our moving services are so affordable? Just give our movers a call at (415) 579-2747 and we’ll give you a free quote!